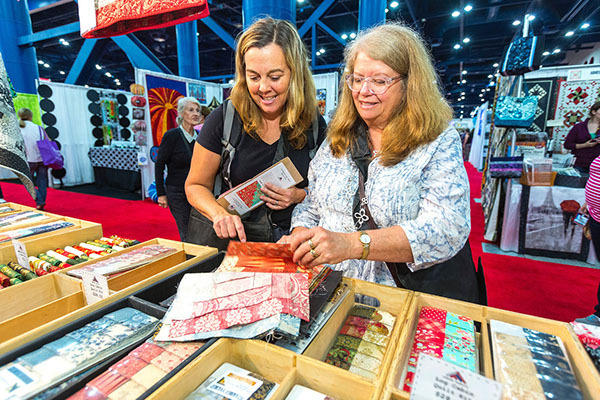 Extend your time in Houston two nights prior to our cocoon by attending the International Quilt Festival! Learn more by visiting our extensions tab. First-class hotel accommodations for 5 nights. Craftours professional representatives on-hand the entire time. A delicious buffet breakfast served daily. Special evening showing an episode of the Emmy nominated Destination Craft with Jim West. Beautiful Egyptian cotton fabric to use for all your projects. 10 specialized quilting techniques taught by master Tentmakers of Cairo. Craftours silent auction to benefit the Colors of Kids. Craftours lanyard and commemorative gifts. All taxes included and insurance recommended. Please note: A supply list will be sent to you when your deposit is confirmed. 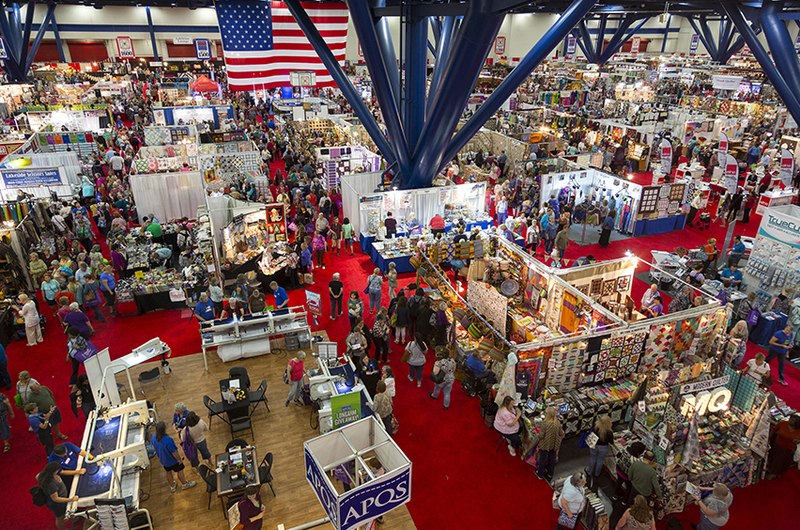 Extend your time in Houston two nights prior to our cocoon by attending the International Quilt Festival! This 3-day/2-night extension includes first class hotel accommodations, daily breakfast, admission to the quilt festival for two days and Craftours representative on-hand to assist. The total cost of this 3-day extension package is only $379.00 per person, based on double occupancy. The subject line is not from Middle America in a conversation about quilting. It is a translated quote from an elderly, non-English speaking Egyptian who was bemoaning the changes in his profession. Since the first leather tent found in a 21st Dynasty tomb by archaeologists, “the walls covered with twisting flowers and leaves, and the ceiling with stars,” Egyptians have been known for spectacular tents. While the outsides have been dull cotton canvas, the insides have been covered with applique. There are tents shown in the Rameses panel at Abu Simbel, and Paul in the Bible was a tentmaker. As times have changes the tents have also changed. Linen replaced the original leather, and then cotton as it became common in Egypt. It is more common now to use vertical panels to signify a ceremony. Traditional panels are each five metres high, and three metres wide. One man makes one piece with fine and beautiful applique. Panels are used for all sorts of ceremonies – from weddings and henna parties, Ramadan eating areas, diplomatic functions, funerals, and street celebrations. Surprisingly there is no difference in the patterns used from sad occasions like funerals to the joyful celebrations of weddings. The men who hand stitch the work are called Khayamiya (Tentmakers of Cairo) – which is also the word for tents. The work has a lot in common with quilts. It is needle-turned applique, where the cotton canvas takes the place of batting and there is a background fabric tacked onto it, then sometimes several other background colours, and finally the wonderful patterns. Technically it is three or more layers joined together by stitch. A good stitcher catches the top of the cotton canvas but does not go all the way through it as the canvas is used in the way that a hand quilter uses an underneath thimble – to turn and deflect the stitch - so the stitches are almost invisible. One of our master stitchers such as Ahmed Naguib learned to stitch from his father. He loves what he does. He says that stitching and watching colours twist and turn under your hands, using good stitches and fine work is a joy and a delight. He has watched with dismay as cheaper printed cloth has started to take over the markets, and is used to make the screens which used to be hand appliqued. It has meant that their market has changed. A craft that for centuries has been well supported has drifted into despair. People wanting screens for a wedding or funeral will hire or buy the printed ones, rather than spend a lot on handmade work. Young men who started in tentmaking have drifted away again as they cannot make enough money to feed their families. In searching for new markets the work has become smaller and more suited for homes and houses. In an odd contradiction, the work has also become finer and more beautifully done. Previously a man was not paid until he handed over his five by three metre screen. It meant that they worked roughly and at speed as fine quality was not an issue – how it looked from a distance in a street was all that mattered. A big piece could take five to six months to stitch and in all that time there was no income for the family so speed was imperative. Now that they are trying to sell to local residents and foreigners in the city beautiful work is important as people peer carefully at the stitching. They get little local support as Egyptians are not interested in the work. It is seen as rough, peasant work and not something for homes in cities. Its connections to funerals means that is also seen as bad luck and Egyptians do not want the work in their homes. Tentmakers of Cairo shared in several overseas events such as; Festival of Quilts at Birmingham, Museum Twentsewelle at Netherlands, Art in Action at oxford, The Cathedral of The Holy & Undivided Trinity of Norwich at UK, British Quilt and Stitch Village,Canberra Quilters in Australia, Phoenix, Grand Rapids, Lancaster, Des Moines, Chattanooga and Paducah in USA. So we are introducing The Tentmakers of Cairo for all of YOU, and hope it gains your admire. The Tentmakers have been a part of Egyptian culture for thousands of years. In the tomb of Ramses 2 there is a wall illustration of the Battle of Khadesh between Egyptian and Hittite armies. Who won is still argued – but there are clearly tents. The original city in the location of Cairo was al Fustat. This means the tent or the encampment. The story is that a pigeon laid an egg on the corner of a tent where it was supported by the pole when Amr Ibn al Az was about to march on Alexandria in 646. He told people to leave it alone and took another tent to Alexandria. When he returned triumphant he decided that the egg was a lucky sign and suggested his soldiers move their camps closer- and a city was founded. We have evidence of tents or applique work from Tutenkhamen’s tomb, from Mamluk Egypt where small scraps of banners with crests have survived over the years, and the appliqued and embroidered tent came into full glory in the Ottoman period. In the late 1800s a need for tents with complex linings was waning and tentmakers had to find new ways to survive. They started to work on panels for homes – wall hangings that emulated beautiful inlaid stone work but were much cheaper. These often had text on them – a welcome, a blessing, or popular lines of elegant poetry. With the First and Second World Wars soldiers streamed through Cairo. In the same period Tutankhamen’s tomb was discovered and interest in Egypt boomed. The tentmakers found a market for small, quickly made touristic pieces which sold fast and could be mailed or carried in a rucksack and many of these were based on one book. At this point they probably lost their Egyptian following as the work was readily dismissed as tourist tat, and wealthy Egyptians bought French Tapestries for their walls. The work remained important as huge panels – five metres by three metres traditionally – for street use. These lined streets for weddings, funerals, Ramadan, celebrations for those returning from the Haj, and any party you can imagine. These are made fast as tentmakers do not get paid until the work is finished – and that means a slow stitcher has a hungry family. A khayameen has to have enough money saved to keep his family for three months to embark on a big street panel. The work done in the Tentmakers Street is called khayamiya, and at the moment it is some of the best that has ever been made. As most craft work has been endangered skills usually deteriorate as masters die and apprentices do not work to the same level. In Egypt the opposite has happened. Because work is not made for western residents or visitors who want fine and beautiful stitching, stitches are finer, colour is more complex, thread colours change as the applique pieces change, and the patterns are fine and brilliant. New designers use traditional Arab ideas of patterning in ornate and complex ways, and new and brilliant colours have changed the look of the work. Since the series of political upheavals in the Middle East, tourism as faltered and all but disappeared and the craft is again endangered. We need you to buy the work to keep the men and their stitchers and families working in this craft. We all hope you enjoy your day with us. A design is drawn. These are classified according to the number of folds necessary in a piece of paper to create the pattern. The design is pricked through to all levels of the paper leaving lacy holes in the pattern. The pattern is placed over a background fabric and pounced through carefully with talcum powder for a dark background, and charcoal or cinnamon for the light backgrounds. The pattern is redrawn with a pencil – colour selected to be visible on the background. The background is tacked in a grid onto a large piece of canvas. Large areas of solid colours are stitched and the pattern re-pounced and drawn on them. Applique starts with the stitcher working with a big needle, a huge pair of iron shears, and a tailor’s thimble and a rough-cut lump of fabric. All lines are covered in the applique process. Care is taken to work ‘underneath’ pieces first, or to leave gaps in the stitching to thread lines though. Applique continues until the work is finished. The work is bordered, bound and is ready for selling. If it is a cushion cover – it has a back with a zipper added. The canvas enables the tentmaker to fold the work doubled so he is always working close to himself. Stitches from a good stitcher do not penetrate to the back of the canvas unless he is adding embroidery.